Located between Pensacola and Panama City along North Florida’s glittering Gulf Coast, Fort Walton Beach offers visitors its powdery white beaches, emerald waters, enjoyable golf courses, and much more. The small-town atmosphere includes eleven traditional neighborhoods, seven of which are located along the shoreline, and each with their own distinct personality and charm. Fort Walton Beach boasts all the fun of the major vacation spots, minus the fuss. 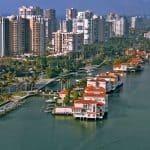 Home to family-friendly resorts and attractions such as parks, museums and aquariums, it’s not just the calm, green waters and cool, white sand that make this northwest Florida destination a family favorite. 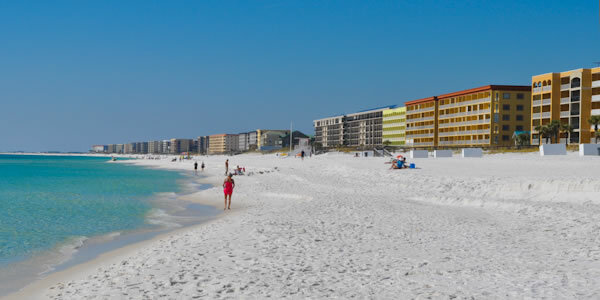 Visit the area beaches in Fort Walton Beach and along the Emerald Coast. Read thru our Fort Walton Beach Vacation Guide so you can start planning your trip today! There are three airports close to Fort Walton Beach, Florida. Of course Northwest Florida Regional Airport is going to be the closest, being only 15 miles away. Pensacola International Airport is about 52 miles away. Finally, you can fly into Northwest Florida Beaches International Airport which is 55 miles from Fort Walton Beach. To create a fair watch, go to AirFareWatchDog which will alert you when the flights are going down in price. Also check my airfare tips on how to make sure you are getting the lowest fare. For finding the lowest fare, go to CheapFlights. I find them to be the best for flight comparison, and getting the best deal if you are ready to purchase. Once you have your airfare, make sure you reserve your airport parking ahead of time. You can Save On Airport Parking and not have the last minute hassle (been there) of trying to get parking reserved. On your next sojourn in the Sunshine State, book a car rental in Fort Walton Beach. A beautiful beach community with access to the warm waters of the Gulf of Mexico, Fort Walton Beach is the best place to take your travels. When you reserve rental cars in Fort Walton Beach, FL you’ll be able to take in all of the area’s attractions. Pick up your car and drive to the Air Force Armament Museum for a look into the history of aviation. Afterward, head to James Lee Park to enjoy the beach or stretch out on the grass and enjoy a picnic. If you happen to be in town in June, don’t miss out on the Billy Bowlegs Pirate Festival; the celebration includes a pirate parade as well as fantastic fireworks. Before you start dreaming about buried treasure, rent a car in Fort Walton Beach, FL. Choose from a massive selection of vehicles and make your reservation using CarRentals.com cheap deals and discounts right on CarRentals.com. 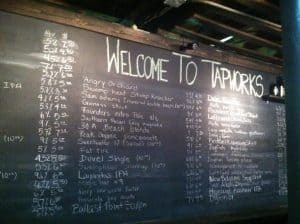 TapWorks specializes in craft beer, craft spirits, and elegant wine. They have 60 beers on tap as well as about 25 bottles. They also have an extensive liquor line up that includes the “norm” plus over 30 small batch craft spirits. Their specialty craft drink menu utilizes some of these unique spirits. Their wine list includes over 15 wines that were handpicked by their staff. For more information call 850-244-1087 or visit them on Facebook. 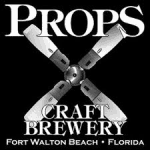 Props Brewery is the location where great people come to meet, eat, and drink their amazing hand crafted beer. Take the entire family or just go and hang out with friends to watch their brewery in action or catch the game. They are the center of all things sports and craft beer in Fort Walton Beach. So, go out to watch as they craft these amazing beers and most importantly relax, kick back, and enjoy a craft beer in their pub or outside in their beer garden. For more information call 850-586-7117 or visit Props Brewery & Grill. They bring Fort Walton Beach many tastes from local breweries and from across the country. They are the original American craft beer bar in Fort Walton Beach and pride themselves in bringing new and different brews to the local crowds and to you, at a price that is way affordable compared to those other guys. So if you’re looking for rare and exclusive American craft beers available in the local area, they are the guys that have them and if you’re looking for big-name, nationally and internationally marketed commercial beers, they have a few. 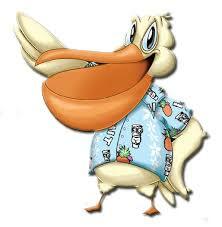 For more information call 850-226-8336 or visit the Salty Duck. The Boardroom Pub and Grub specializes in craft beer, choice wines, and food no one would expect to come out of their closet of a kitchen. Try the Massive Pork Nachos. They offer 80+ beers, a premier wine selection, and healthy food options all day and night. For more information call 850-200-4741 or visit them on Facebook. They offer fresh seafood straight from the Gulf, as well as other favorites, shipped to us fresh. Add in tasty appetizers, fresh salads, great sandwiches and wraps, plus lots of steamed, fried, and broiled entrees. They have something for every taste. In addition to being a family restaurant, and a full service bar, they also LOVE sports. Every night you will find the game on one of our dozen or more TV’s From NFL, NCAA, MLB , NHL and NBA, to soccer from the world stage, they have the sports you are looking for. 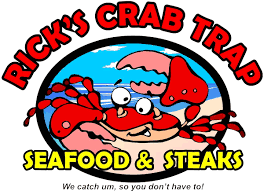 For more information call 850-664-0110 or visit Rick’s Crab Trap. The healthy alternative, Soi Bistro features an inventive and traditional mix of sushi paired with the largest selection of sake. Prepared with the freshest ingredients, they offer a dining experience full of creative flavors, combined with a casual relaxed atmosphere. Indulge in their signature rolls or Asian inspired dishes. For more information call 850-586-7645 or visit Soi Bistro. STEWBY’S Seafood Shanty is a small take out and drive thru seafood restaurant in Fort Walton Beach. Offering the most affordable and freshest local seafood. You can eat on their enclosed deck or take it to-go. All their seafood is fresh and locally bought. The fish comes straight of the boats in Destin. Average order time is between 4-6 minutes. So if your in a hurry, don’t worry. They’ll have you on your way in minutes. STEWBY’S also offers a drive thru window for your convenience. Drive thru and take some to go or stop by and order from the walk up window. STEWBY’S is always providing the best quality seafood at the best price! For more information call 850-586-7001 or visit Stewby’s Seafood Restaurant. Fresh-baked goods, yummy breakfast (their maple bacon makes life better; trust em) and mouth-watering deli sandwiches! Come try Marc’s famous scratch-made bagels–or even better, get a B.O.B. (Breakfast on a Bagel). A selection of fresh gourmet coffee; beans roasted in-house! For more information call 850-586-7211 or visit them on Facebook. They offer fresh seafood straight from the Gulf, as well as other favorites, shipped to us fresh. Add in tasty appetizers, fresh salads, great sandwiches and wraps, plus lots of steamed, fried, and broiled entrees. They have something for every taste. In addition to being a family restaurant, and a full service bar, they also LOVE sports. Every night you will find the game on one of their dozen or more TV’s From NFL, NCAA, MLB , NHL and NBA, to soccer from the world stage, they have the sports you are looking for. For more information call 850-664-0110 or visit Rick’s Crab Trap. 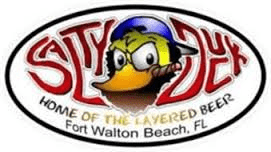 Old Bay Steamer is an independent, locally owned and operated seafood restaurant in Fort Walton Beach FL. They opened in 1995 on Okaloosa Island just in time for Hurricane Erin. Shortly thereafter, Hurricane Opal delivered a spectacular smack down. Against all odds and pathetic customer counts, they did not perish. Word of mouth and local support, has been the foundation of their success. The Place for Steamed Seafood in Ft Walton Beach FL : Maine Lobster Tails • King Crab • Snow Crab • Royal Red Shrimp • Clams • Mussels • Oysters. For more information call 850-664-2795 or visit Old Bay Steamer. Gulfarium Marine Adventure Park is dedicated to educating, entertaining, and inspiring their guests to respect and preserve wildlife by providing unique and memorable experiences for visitors of all ages to connect with marine life. For more information call 850-243-9046 or visit Gulfarium Marine Adventure Park. Enjoy unique eco cruises off the shores of beautiful Fort Walton Beach, Okaloosa Island, and Destin aboard the power Cattywampus catamaran. They offer some of the best sights and experiences with our catamaran cruise. Whether you are in Fort Walton Beach, Okaloosa Island, Destin or surrounding areas, the Cattywampus catamaran is the perfect vessel for an unforgettable experience. For more information call 850-586-0450 or visit Cattywampus Eco Tours. Parasailing is a wonderful way to see the Island and a great way to highlight your vacation experience. Fly high and see the entire area, add a banana boat ride and do a combo, with photo packages available as well. 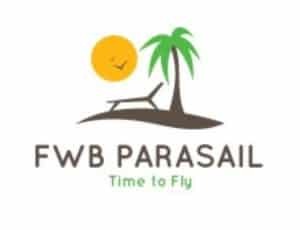 For more information call 850-438-5555 or visit Fort Walton Beach Parasail. 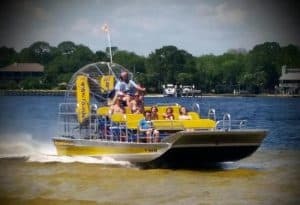 Ride along the shore of Choctawhatchee Bay & Santa Rosa Sound aboard PUC DAT, their Diamondback 15 passenger airboat! Ages 2 thru 11 – $25 Ages 12 & over – $45 Discount Coupons available @ Fudpucker’s. Weather and seas permitting they offer daily departures. Call them today to reserve your seat on an exciting airboat ride at 850-461-9585 or visit Destin Airboat Tours. Fuddpuckers Watersports is the perfect place for riders of all levels and ages. Never attempted a water sport? Not to worry! Their mission is to ensure that their customers have a fun day out on the boat, whether it is swimming, inner tubing, or just sun bathing. They are there to make sure that you have to great time out on the water. For more information call 850-424-7625 or visit Fuddpuckers Watersports. This Florida hotel features an outdoor pool, daily hot breakfast, and free property-wide Wi-Fi. Guests are also a 9-minute walk from Fort Walton Beach Landing Park. Access to the fitness center and business center is provided to all guests throughout their stay. This Fort Walton Beach La Quinta Inn and Suites has a laundromat and free on-site parking for added convenience. 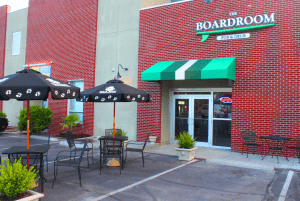 This hotel is 1 miles from the Okaloosa Island Fishing Pier and Gulfarium. For more information, pricing, or to reserve your room, visit La Quinta Inn & Suites Fort Walton Beach. Happy guests! Travelers who stayed at this property said it met their expectations. In Fort Walton Beach, Florida, this hotel features an outdoor pool and a daily continental breakfast. Free Wi-Fi access is available. A microwave, refrigerator and coffee-making facilities are standard in each room at the Holiday Inn Express Hotel and Suites. A cable TV is included. A business center and fitness center are accessible to the guests at Fort Walton Beach’s Holiday Inn Express and Suites. Other facilities offered include a laundromat. For more information, pricing, or to reserve your room, visit Holiday Inn Express Hotel & Suites Fort Walton Beach Northwest. This property is 1 minute walk from the beach. Located on the Gulf of Mexico coast, this Fort Walton hotel is 1 miles from the Gulfarium Aquarium and 0.6 miles from the Emerald Coast Convention Center. It features an outdoor pool, private beach area, and free hot breakfast. Guests can enjoy live music at the Swizzle Stick Lounge. A seasonal pool-side cabana bar are part of the facilities at this Fort Walton hotel, as well. Free movie nights with free popcorn are The Public Fishing Pier and a variety of seafood restaurants are 15 minutes’ walk from the Best Western Ft. Walton Beachfront. Big Kahuna’s Water Park is less than 15 minutes’ drive from the property. For more information, pricing, or to reserve your room, visit Best Western Ft. Walton Beachfront. I love this post I live in Florida and appreciate this post as am always looking for places to visit and this looks very inviting. Thank you. Wow, where do you live Helen? I am moving to St Pete, hopefully within a month. I cannot wait. I plan to continue my beach trips, only this time they will be road trips 🙂 If you have not been to Fort Walton Beach, you surely need to go! 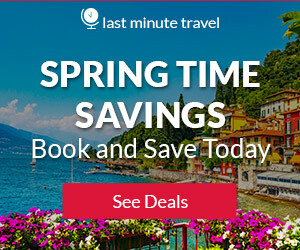 Hi,Leahrae, I am very impressed with your website, as a customer looking for the first time it certainly makes me want to find a beach travel destination. I cannot find anything critical to say, you either had a good grounding already in website construction ,or, you have worked extremely hard at the lessons . There is plenty of relevant content without being,` overloaded` It is well organised and informative with just about the right number of relevant adverts. How long did it take you to get to that standard? I feel very inferior ,just starting with my site …I have only just found out how to activate ,`comments`. Thank you so much Angie! I have done website design before, and I tend to be very detail oriented and a perfectionist…so I spend a lot of time on one post. I picture what I would like to find if I were traveling to these places. A lot of them I have been to, so it is easy to talk about them. Some require a LOT of research. I am glad you enjoyed reading! Lots of great information here! Like many others who have commented, I have had never heard of Fort Walton Beach. With a family of 4, including two small children, this looks like a great destination for us to consider. We love beaches and don’t like crowds. Sounds like Fort Walton Beach may be a winner! Yes, you will find it quieter here, and it is also less expensive. Anything on the west coast of Florida or the panhandle will be much cheaper than the east coast of Florida, and less crowded as well. Thanks for reading! 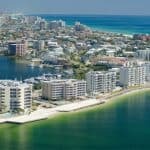 Oh my, Fort Walton looks absolutely idyllic! It’s the deep dark cold of winter here and I can’t help but imagine my feet in that luscious white sand as I bathe in the sunshine. 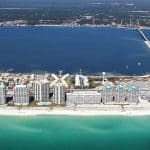 I’ve been looking for Florida destinations outside of the usual suspects and this post has shot Fort Walton to the top of my list! You know, anywhere on the Emerald Cost is going to be beautiful. They have the whitest sand beaches anywhere in Florida, and so soft. It’s smooth and warm on your feet. I am glad you enjoyed reading about Fort Walton beaches. Fort Walton Beach sounds like a great place for a vacation. The weather during the hot season is quite similar to Singapore, where I live. The travel sites for the best air fares is very useful. I’ll definitely check it out. Thanks for the travel guide! You are very welcome Yvonne! I don’t consider it hot at all there, but then I am a beach bum and enjoy the sunshine and warm weather that comes with it. Thanks for checking out the Fort Walton Vacation Guide! I have never heard of Fort Walton but it looks and sounds amazing. This page also has a great compilation of everything one would need when planning a trip there. You don’t need to open a million different webpages when planning a trip there, its all consolidated into on page, so thank you for that! The video at the end is also a good touch! Thank you Fay and I am glad you enjoyed reading about Fort Walton Beach on the Emerald Coast. It really is a beautiful area with white sand beaches. 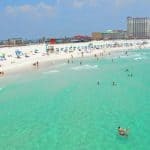 What a super guide for a beach vacation to Fort Walton, I really like the suggestions you outline for restaurants and things to do, one question – is there any golf courses nearby??? Yes, beautiful golf courses as a matter of fact. The Fort Walton Beach Golf Club is your best bet. You can also go to the Shalimar Pointe Golf Club which is amazing as well, or the Gator Lakes Golf Club. Thank you so much for visiting and let me know if I can answer any other questions! Girl I’m right here with you. I have extreme wanderlust and your posts are fueling the fire lol. Thanks for sharing this! Great tips! I’m headed to australia in a couple months and thailand a couple months after that. I may need some beaches closer to home in my life after that. Thank you! Wow, I do envy you Eric! Pack me in your suitcase when you head to Australia and Thailand please! Glad you enjoyed reading and thanks for visiting Beach Travel Destinations! Yeah, Fort Walton looks like a great place to visit. You really can’t go wrong with Florida as long as it is not too bad into the summer dog days at all. Thanks for sharing another great review. That is true, you cannot go wrong with Florida no matter where you go. I do have my favorites and the beaches of the Emerald Coast are awesome! Thanks for reading Brent! Wow! I can’t believe I’ve never heard of Fort Walton before! This place looks beautiful! And all the information you have here will certainly be helpful for anyone planning a trip there. Comprehensive but not confusing! Awesome info! Thank you Madison 🙂 I am glad you enjoyed. Thanks for visiting! So over the past couple weeks I have been looking into tickets for a cruise ship from Miami to Bahamas for 5 days. so far, the cruise tickets are under $500 per a person but my only problem is I have to pay about $800/person for airfare from where I live to Miami. After finding this information, I figured I will wait and look for other places to vacation. Now it seems that Fort Walton might be a great place to check out. Okaloosa-island sounds great too. My family (there are 6 of us) wanted to just get away from the cold weather and check out some beaches and also spend some time together. You are very welcome, and you will find the weather so nice there during the winter. Doesn’t really matter what time of year you go. What is nice about the Emerald Coast is, you can drive literally from one end to the other in a day. Don’t do it during rush hour traffic, as it is pretty congested with only one highway going thru. But the Emerald Coast Beaches cannot be beat. Thank you for reading! Oh my gosh this place looks so gorgeous! I could definitely use a vacation right now. It’s nice to have all of this information in one place and not have to search everywhere for it. Fort Walton Beach and the whole Emerald Coast is beautiful! I am glad you found the information informative. 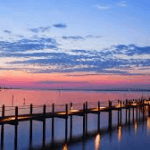 Thank you for visiting Fort Walton Beach Vacation Guide. I can’t believe all of this information for Fort Walton Beach. This is AWESOME and by far the most informative travel site I have come across in my search. This beats out some of the major sites. Thank you for being so detailed and the pics help a lot. I look forward to planning some family trips this spring…I’ll be back to this site. Thank you so much Mike! My whole goal is to be the number one site when you are looking for a beach vacation. I am glad you enjoyed! I will be posting often on different beach destinations throughout the world. I thinking now to have a vacation like this. I would probably suggest to my wife this wonderful Fort Walton beach in Florida. I like their weather as well not too hot and not too cold. You even provide the information where we can get a good deal for airfare and hotel. That is really nice. Yeah, I would definitely get a vacation I think I deserve that . Thanks Leahrae. Oh my gosh, I didn’t realize how badly I need a vacation! 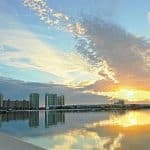 Fort Walton Beach looks beautiful and it looks like a place my husband and I could enjoy!! (If we can find a babysitter) We live in Augusta, GA, so I’m not sure how far away that is. Ashley, it’s really not that far and airfare is so reasonable. I pay about $60 round trip from Dallas. I know you would love it, and you could take the whole family 🙂 as it is not near as expensive as other beach destinations.